Rita Nagle, a local, self-proclaimed "foods enthusiast," has been growing a garden for 15 years. "I just noticed more and more through what I read and the things that I pay attention to online, that the whole local food movement is growing. I'm really excited about it and want to help and be a part of it, so that's why I volunteer. I like being a participant rather than just a bystander," she said. Nagle, among many others, came to network and be informed on the latest of what's happening with the local food movement at the last E4S (Entrepreneurs for Sustainability) Local Food meeting. She, along with the group, believes having access to local, fresh food is incredibly important, as well as educating others on how easy it is to grow their own food. "I started out just wanting to improve my diet for some health issues I had. I started to grow herbs in pots on the back porch of the patio of my apartment," she shared. One day after talking to a co-worker, who was participating in a community garden, her interest grew even more. "Eventually I bought a piece of property, a house for myself with my own yard, and my garden's just grown. Now I have such an enthusiasm and passion for gardening and I'm so glad the local food business is growing," Nagle said. E4S hopes to encourage and inspire personal garden-growing, community gardening and making fresh, local food available to all. This is what they stand for and continue to promote. Lisa Thompson, another local gardener who attended the networking event, is known around her neighborhood for generously sharing the fresh produce she grows. "All of the people who walk in my neighborhood know that if you walk by and admire the garden you can go home with a goody bag," Thompson said. "I've been growing gardens since I was 8 at my grandmother's house. My main focus was the herbs and strawberries. It was great to go in the yard and say 'what's for dinner tonight?' You know? And just dig it up," she said. Thompson is now volunteering at a local school that has its own gardening program. "I drive past it all the time and always wanted to get involved, so I knocked on the door one day and said 'I want to help'," Thompson said. "Last year they put in a raised bed garden for the kids and are learning how to incorporate it into their lesson plans," she continued. "What brings me here is a lot of entrepreneurs and people in the local food system, and opportunities for job development," Chris Norman, Executive Director of Crown Point Ecology Center shared. "We're particularly interested in access to fresh, healthy food." Norman introduced the crowd to the concept of "Food Desert Maps" locating underserved areas, or gaps in Summit County's local food distribution system. Research was done using census data but also collaborating with city and county officials and policy makers primarily in the health, planning and economic departments, as well as University of Akron. "It's the first of its kind in Summit County," said Norman. "So this is really good stuff to begin the conversation about how to increase access to fresh, healthy food. Locals are standing up and speaking out about their concerns about our food. And not only are they using their voice, but they are doing something about it. A substitute assistant for the Akron Public Schools who attended the meeting shared her concern about the food choices available to children, saying: "I see chicken nuggets, processed food, potatoes (French fries). And I'm really interested in educating children as to what is the right food to eat because they just don't know." Availability of healthy food choices is the first step towards change. Providing education in growing, preparing and including nutritious food and encouraging eating nutritious food at work, school and other places that people gather is on the forefront of the local food charter initiatives mind as well. "Something you can take away (from this) is eating healthy and local," Tony Troppe, a local renovator and architect, said. CSAs (Community Supported Agriculture) are a great way to get involved in this fresh food movement. They cut out the "middle-man," allowing local farmers to sell their food directly to area customers. Customers buy a share of the season's upcoming harvest directly from the farm and pick up their shares on site at the weekly distribution. There are CSAs for vegetables, fish, honey, flowers, you name it – they have it. "With the CSA you have this aspect of getting fully connected to where your food is coming from, so there's an educational part that I like a lot too," Liz Macek, Harvest Coordinator at Crown Point, said. "We're making organic produce available to people who can buy a CSA share, but also to people who maybe don't have access to that kind of food, through our donation program," Macek continued. The Crown Point Farm is getting ready to celebrate its 15th year of operation. "It's very important to me and my family," said Judy James, who has been a CSA member with Crown Point for 15 years. "My kids kind of grew up there. I used to put my daughter on a blanket and she'd sit there and play with her dolls and color while I worked on the farm." Basket of Life Farm and Greenfield Berry Farm, both based in Peninsula, are two other CSAs in Summit County. Becoming a CSA member is a great way to participate in building up the local food system in Summit County. 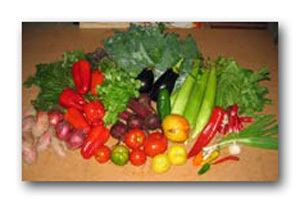 For more information, go to Local Food Cleveland CSA. A more "informal" way to participate in a CSA is via Cleveland-based City Fresh. This New Agrarian Center project offers a new CSA twist by providing weekly produce "packs" grown by local farmers dropped at designated locales for those who register ahead of time. Recently, several stops in the Akron area have been added. Support your local grocers, farmers markets, dining establishments, pick-your-own farms, roadside stands that provide fresh, locally-grown foods by supplementing your mainstay grocery runs and dining experiences with them. Most are seasonal, yet some local dining establishments and farmers markets, including Ms. Julie's Kitchen, Hattie's Cafe and Countryside Winter Farmer's Market supply local fresh food (grown in hoop and green houses) even in the dead of winter. If you want to spread your roots deeper into the local food movement, there are several opportunities to grow your own food or join local food advocacy groups like E4S through your local schools, houses of worship, community non-profits and neighborhood block clubs, all sprouting their own projects and initiatives. For the third season in a row, Akron Grows, sponsored by the City of Akron, provides individual garden plots in half-a-dozen scattered community sites. NeighborFood, a new organization of Master Gardeners, formed as a clearinghouse to promote and support all the projects, programs and initiatives in Akron's local food movement, is seeking additional members. The Summit Food Policy Coalition (SFPC) has many goals and objectives laid out for the year. Its main goals include: advocacy for healthy food access, entrepreneurial and market development, and education regarding healthy and local food. What it has done thus far is work to develop a Community Food Charter for Summit County with the purpose of creating a set of guidelines and principles that reflect our community's intentions towards our food environment and economy. Summit County Executive Russ Pry agreed to submit the "Summit County Community Food Charter" with his endorsement to County Council for their review and consideration. 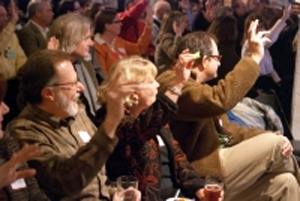 For Informative newsletters, updates, networking and events please check out www.e4s.org. 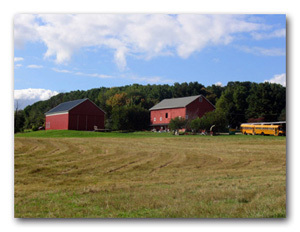 For local farmers' market info, visit www.cvcountryside.org ! For pick-your-own farms, visit www.pickyourown.org/OHcleveland.htm. SPFC's next meeting is March 15th at Crown Point Ecology Center (3220 Ira Road, Bath, 44210) at 2:00 p.m. Please contact Jerry Egan (330) 668-8992 for more information.